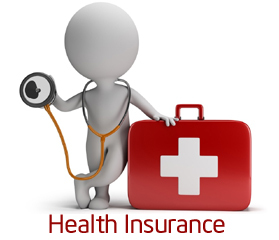 Buying a health insurance policy is an important aspect of financial planning. However, it is noticed that many people still do not purchase health insurance policy for parents. At a later stage, they suffer badly due to unexpected medical expenses. Let me share a story of my friend. My friend has taken family floater health insurance plan. However due to various reasons, he never took health insurance for parents. His father was a heart patient. Before few days, he suddenly faced a problem of chest pain and he has to undergo bypass surgery on urgent basis. My friend spent 2.5 lac his lifelong saving in this surgery. Now he could realize the importance of health insurance for parents. Many Indian’s are like my friend, as they avoid buying health insurance policy for parents. They don’t understand that better health care is required in old age and one should be ready for the same. Few compelling reasons for buying health insurance for parents are given below. Why Should You buy Health Insurance for Parents? Old age people are more prone to health related problems and life-threatening diseases. Your parents can enjoy quality treatment even in old age under the coverage of Health insurance. Health insurance gives security and stress free life in the retirement. You will be comfortable and concentrate on the treatment. Increase in a number of illness and risk ratio. Medical cost is increasing every day. Health Insurance can bring tax benefit under section 80D. Important Feature to consider while buying Health Insurance for Parents? In last few years, health insurance product has become a bit complex. Earlier health insurance policies were only covering hospitalization expense, but now even OPD, pre and post hospitalization expenses including dental treatment have come under insurance net. Apart from this many other interesting features are added in health insurance policy. You should consider following features while buying health insurance plan for parents. You should look for coverage of preexisting diseases before buying health insurance policy for parents. Many insurance companies exclude preexisting diseases or keep waiting period before covering these diseases. Also Read – How to claim benefit for multiple health insurance? Copay in health insurance is also known as loading. Copay means you are agreeing to pay a certain amount of health insurance claim from your pocket and the remaining amount will be paid by insurer. For example – If your insurance policy has copay clause of 20% and your total medical expense is Rs 20,000 you have to pay Rs 4000 from your pocket and remaining Rs. 16000 shall be paid by insurance company. Health Insurance company may place sub limit on certain critical illnesses or treatments. For example – For the treatment of kidney stone if sub limit of Rs 40,000 is kept, if you exceed this limit you need to pay money from your pocket. Many health insurance companies keep waiting period for the existing disease. This means during this period you cannot claim for the specified/existing disease. You must select the policy with lower waiting period. Another point you should consider before buying health insurance is applicability of alternate treatments. In some cases, ayurvedic or homeopathic treatment may be required. You can plan to purchase a policy with alternative treatment support. Based on various features and premium best health insurance for parents are given below. Optima Senior Health Insurance plan is available from age 61 and above. This plan offers lifelong renewal. Any pre-existing disease will be covered after waiting period of 3 years. Provide cumulative bonus of 5% for every claim free policy year. Sum assured varies from 2 lacs to 5 lacs. Copayment is applicable on room rent type & specific illnesses and injuries. Bajaj Alianz Silver Health plan is available from age 46 year to 70 years. Preexisting disease will be covered with waiting of 1 year. Sum assured up to 5 Lac. Cashless facility is available, however, limit on pre and post hospitalization expenses. Max Bupa Heart Beat plan is available for any age. This plan offers lifelong renewal. Free health checkup on renewal. Higher sum assured up to 50 Lac. 20% Copayment for the age 65 years and above. Star health senior citizen red carpet plan is for a senior citizen from age 60 to 75 years. This health insurance covers all preexisting disease second year onwards. You can avail high insurance coverage up to 10 Lac. Sub limit is applicable for specific illness. National Varistha Mediclaim policy can be taken from 60 to 80 years of age. Sum assured under this policy is very low 1 Lac for hospitalization and 2 Lac for critical illness. This policy offers cumulative bonus and free health checkup for claim free year. The most common myth about not buying health insurance for parents are given below. Since existing diseases are not covered, what is the point of taking a policy? Have you purchased health insurance policy for your parents? Do you think information given above will be helpful to you? If you have any or question about health insurance for parents feel free to add in a comment section. I wasn’t aware of the “Apollo Munich Optima” plan was only for 61+ years of age. How are the premium comparisons for various plans? It will be more useful if you could give some premium comparison.